CE computer glasses reduce Eye Fatigue and decreases visual stress caused by prolonged monitor viewing. They can help you stay focused for longer. That's Right, you can be more productive! Blue light is short-wavelength visible light that is emitted by electronic devices (computer screens, tablets, smartphones…), and can cause eye strain. CE computer glasses block harsh blue light Short-wavelength visible light that is emitted by electronic devices and glare so your eyes can finally relax. 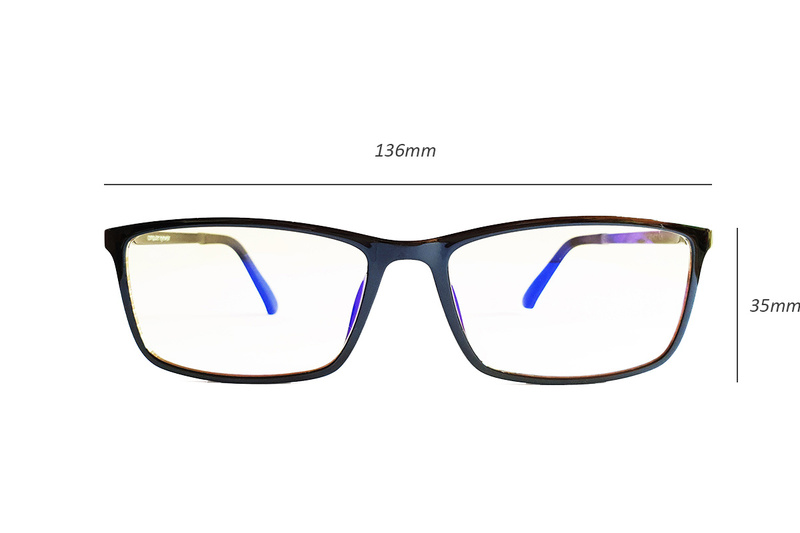 CE computer glasses have filters that enhance details for sharper and clearer vision. 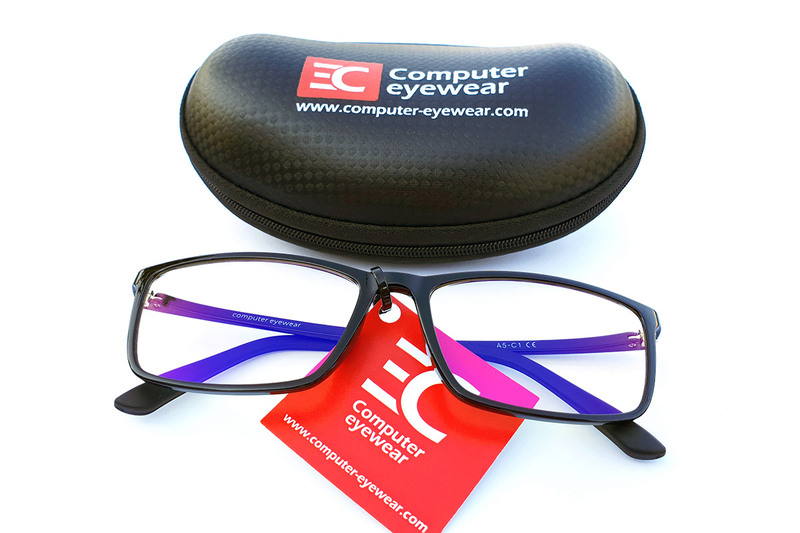 CE computer eyewear Everything you need to protect your eyes lens design aids natural focusing to provide sharper, clearer vision, resulting in less strain on ocular muscles and they frame your face to reduce effects of Computer Vision Syndrome. The result – improved clarity, focus and performance designed to meet demanding visual needs of a digital generation. CE computer eyeglasses are not available for people that require corrective lenses. Reduces Eye Fatigue CE computer glasses reduce Eye Fatigue and decreases visual stress caused by prolonged monitor viewing. They can help you stay focused for longer. Block blue light & glare Blue light is short-wavelength visible light that is emitted by electronic devices (computer screens, tablets, smartphones…), and can cause eye strain. CE computer glasses block harsh blue lightShort-wavelength visible light that is emitted by electronic devices and glare so your eyes can finally relax. Enhances detail for sharper & clearer vision CE computer glasses have filters that enhance details for sharper and clearer vision. Artificial light from energy efficient computers and overhead fluorescent lighting consists of narrow bands of high energy light instead of equally balanced, full spectrum the human eye prefers. Changing the color of your screen or brightness does not affect the quality of the digital light. CE lens tints filter and balance the transmitted spectrum, reducing high energy visible [HEV] light and warming the overall view. With harsh blue light reduced, sensitive parts of the eye are engaged, increasing perceived contrast. Filtering blue light from a backlit screen reduces visual recovery time and protects the eyes. “after image” effects. Contact the distributor in your country! CE are available in more than 20 countries worldwide. To find out where to buy CE, please contact distributor in your country.